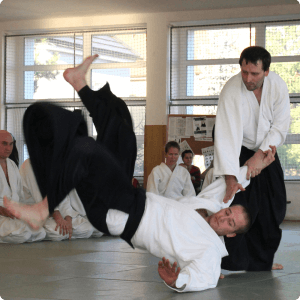 Aikido Praha Sekai Dojo | Aikido dojo – Prague 6 – Petřiny. 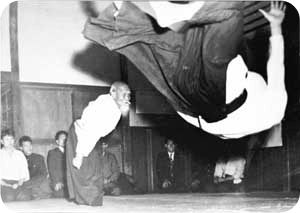 Aikido is a traditional Japanese martial art (Budō), which helps the practitioner to develop physically, mentally and spiritually with the ultimate goal of finding personal fulfilment and a state of inner peace. Our aikido club is part of national aikido organization (CAA). CAA is officially recognized by Aikikai Foundation – Hombu Dojo. 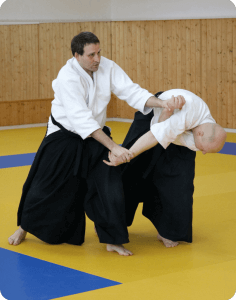 It is possible to take an Aikikai Dan grade examination, which are valid internationally. Classes for children from 4 to 6 years in Břevnov (Bělohorská 58, Prague 6). Please bring a kimono, slippers and towel. If you don’t have a kimono bring a tracksuit and t-shirt. You will get an application form after first lesson. Enrolment is open throughout the year (from 12 years). Your first lesson is for free! - Trainings already started on 1st of September 2017 after summer break.